One of the great functionalists windows has been offering for long is multi-user login. Different people can share the same PC with their own flair along with a guest user login. But, I am not sure, if this feature is available on Windows 8 or not. I have read many posts, articles but no where find anything related to this feature. Is the feature missing, or restrained on Windows 8 due to which no one is talking about it. 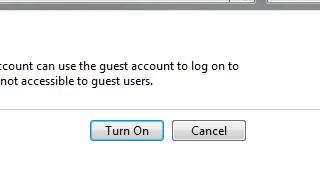 By default the guest account in Windows 8 is turned off. To activate it is much the same as Windows 7, just getting there is a little different. In Category view click on Add or remove user accounts. You will see the Guest account and the fact that it is turned off, double click on it. Click on 'Turn On' and its activated, close the Control panel and log off or reboot to test your Guest account if you wish. The next time you Start your machine or logoff you will be given the option to log onto the Guest account or your normal account. To turn it off again log in with your account. Navigate back to the User accounts as per above. Click on the 'Guest' account image and you will be given the option to turn it off. Its the same as in Windows 7. 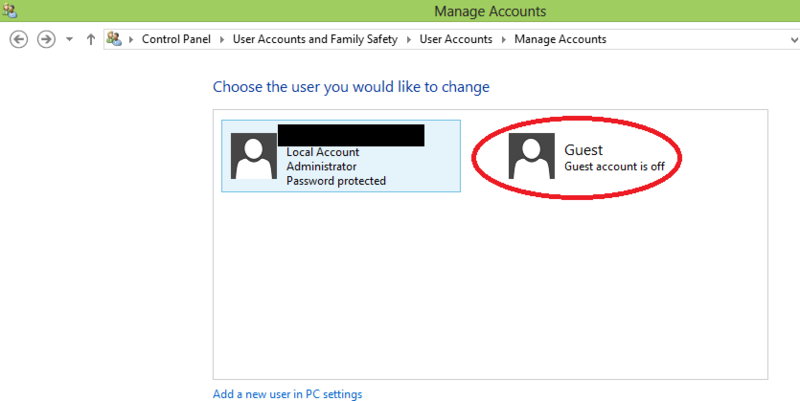 It appears that the guest account functionality still exists in Windows 8 but is disabled by default. 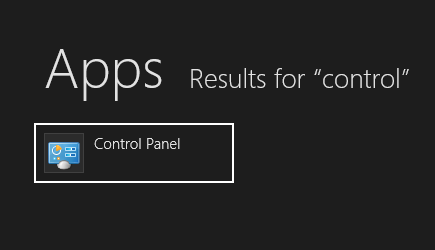 I have yet to find an official doc on Microsoft's site regarding this. Visit the User Accounts section of the control panel to re enable the guest account. Not the answer you're looking for? Browse other questions tagged windows-8 multiple-users guest-account or ask your own question. How do I share a single computer among different users? Are email addresses mandatory for Windows 8 login names? 2016: 2 users simultaneously on one Win 7/ 8 PC, 2nd user only edits few Excel files? “Administrator”, “DefaultAccount”, “Guest”: Can I remove these accounts?